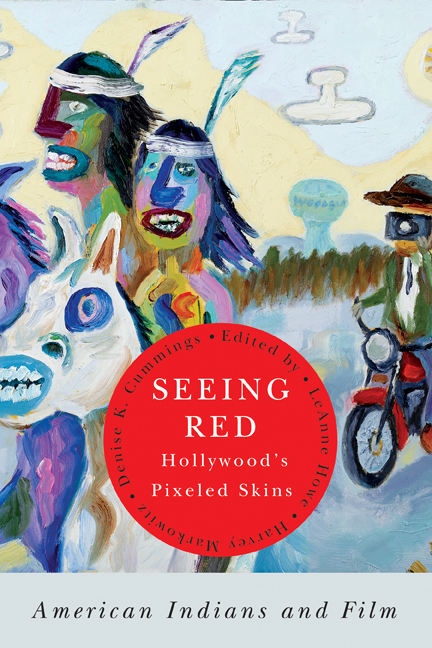 At once informative, comic, and plaintive, Seeing Red—Hollywood’s Pixeled Skins is an anthology of critical reviews that reexamines the ways in which American Indians have traditionally been portrayed in film. From George B. Seitz’s 1925 The Vanishing American to Rick Schroder’s 2004 Black Cloud, these 36 reviews by prominent scholars of American Indian Studies are accessible, personal, intimate, and oftentimes autobiographic. Seeing Red—Hollywood’s Pixeled Skins offers indispensible perspectives from American Indian cultures to foreground the dramatic, frequently ridiculous difference between the experiences of Native peoples and their depiction in film. By pointing out and poking fun at the dominant ideologies and perpetuation of stereotypes of Native Americans in Hollywood, the book gives readers the ability to recognize both good filmmaking and the dangers of misrepresenting aboriginal peoples. The anthology offers a method to historicize and contextualize cinematic representations spanning the blatantly racist, to the well-intentioned, to more recent independent productions. Seeing Red is a unique collaboration by scholars in American Indian Studies that draws on the stereotypical representations of the past to suggest ways of seeing American Indians and indigenous peoples more clearly in the twenty-first century. LeAnne Howe (Choctaw Nation of Oklahoma) is Professor of English and American Indian Studies at the University of Illinois at Urbana--Champaign and winner of an American Book Award. Harvey Markowitz is Professor in the Department of Sociology-Anthropology at Washington and Lee University. "Often funny, frequently touching, always insightful, the reviews in Seeing Red offer readers a unique entryway for reflecting on the U.S. film industry’s representation of American Indians. A must for high school and college classes dealing with race and ethnicity, Indian-white relations, and the history of movies."